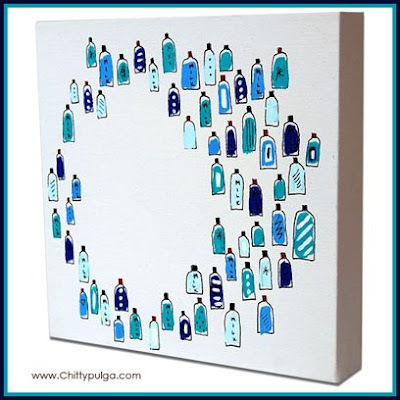 The one effect we are loving at Chittypulga is the "Lotsa" paintings hung together in groups... 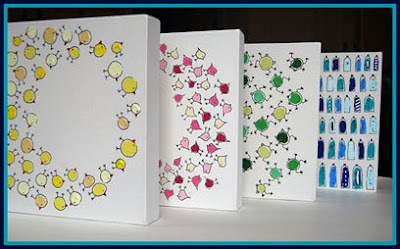 Choose a silhouette, select a pattern -organized, random, x's or o's and now mix and match. The result is fantastic!! 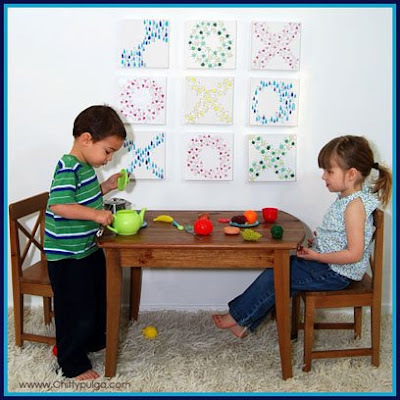 Decorate a boring wall and turn it into an exciting game of "tic, tac, toe" with the X and O pattern, or pick a theme and present it in all four different colors... Pure tasteful fun!! To make it even more fun, Cici Art Factory and Chittypulga are partnering to bring you this wonderful offer... Believe or not, until December 31st, 1 + 1 = 3. We don't know how math got so screwed up, but, the point is that when you purchase two pieces of the Lotsa Collection, you get one FREE... Top it up and you also get Free Ground Shipping when you buy at least two of them. Yeaahhhh!! 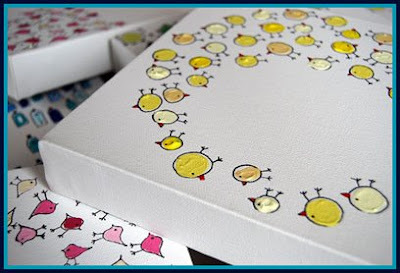 Take advantage and redecorate your own child's room or make three individual holiday gifts... Heyyy!! These times of financial crisis, an offer like this may come handy... What do you think? Yeahh, unbelievable but true, the year is almost over!! ... The first week of December is history and from this point on, you are just three weeks away from acomplishing a difficult mission... getting done with the gift list!! It doesn't matter how many different filters you apply to it, the end result is always the same -a long tail of names with the most important ones in your life, the "not so close" and the ones you "must" include, it doesn't matter what. Among those, there is always somebody expecting a baby or someone who just had a baby and here you are "clueless" about what to get for them... Put at least, that present out of the way now... Chittypulga is running a special event, the quantities are limited and you should not miss it!! 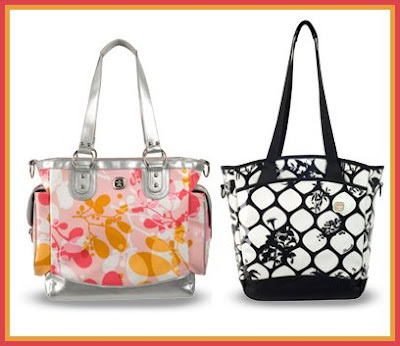 Fleurville diaper bags and accessories are up to 35% OFF plus Free Ground Shipping on orders over $100. A fantastic holiday present for the daddy-to-be, the Fleurville DJ Bag is the right one for the busy dad, who multi-tasks taking care of business and dealing with the little one at the same time... 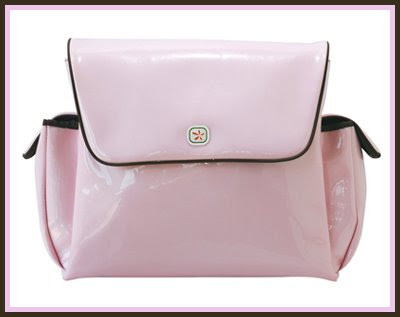 Contemporary design, shoulder strap with pockets for quick access to gadgets and accessories, outside pockets and offset zipper to reach diapers and wipes without even opening the bag... 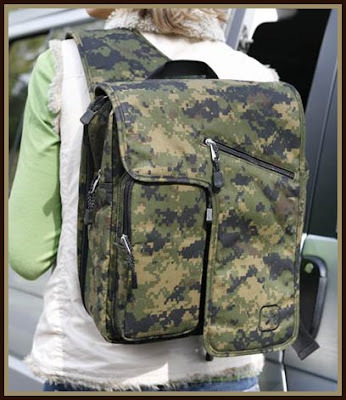 Check this one, Chittypulga is offering the Fleurville DJ Diaper Bag in Camouflage print at 25% OFF. $88.50 after discount. Get those presents out of the way now and delivered on time for the Christmas celebrations. Chittypulga offers "same day" shipping on orders entered by noon EST.